This is a Maine Examiner opinion piece from Representative Rich Cebra of Naples. Politics or principle? It is the challenge facing elected people daily, and more often than not, the vast majority fail the test. Such was the case on March 1 at the Maine State House in Augusta. Speaker of the House Sara Gideon headlined an anti-gun rally at the Capitol promoting no guns in Maine schools. Instead of taking a measured approach to the school safety debates that are happening in the halls of the Capitol, the Speaker decided to lead a partisan, political rally designed to score points with the Maine media and liberal Democrats who pay the freight of her political career. Earlier in the week, she voted, along with her fellow liberal Democrats on the Maine Legislature’s Legislative Council, to deny several common sense proposals to address school safety. Instead of considering a multitude of ideas to help keep our kids stay safe in Maine schools, Gideon decided to play politics by pandering to the anti-gun wing of the Maine Democratic Party. The question is, why? Why would the leader of the Maine House so clearly play politics with an issue like school safety, when what she should have done was lead a robust discussion about a variety of ideas to help prevent a Parkland-like tragedy in Maine? The answer is clear. Gideon’s rigid ideology and anti-Second Amendment philosophy were more important than what her 185 colleagues in the Maine House and the Maine Senate think about school safety concerns. Her lack of leadership is not only appalling, it is a gross dereliction of her duty as the House Speaker. At a time when Maine Legislators of all political stripes are attempting to address, in earnest, the pressing issue of school safety, Speaker Gideon headlined a political rally to hear the fawning of Maine’s media and her anti-gun allies. When her colleagues are offering proposals, from both sides of the aisle, to address specific areas of concern regarding school safety, she and her liberal allies on the Maine Legislative Council voted down every common sense proposal so they could not even be discussed by the appropriate committees of the Legislature. Republicans, Independents, and common sense Democrats, are in Augusta each day seeking to find bipartisan answers to the issues that face Maine. These proposals need to be well vetted, thoroughly debated and dissected as they seek to address the interests of all the people of Maine. Speaker Gideon, in one of our nation’s most trying moments, reached for politics first. This lack of leadership and rigid ideology on the part of the Speaker was evident last year when budget talks broke down and our government shut down for several days. We cannot afford to continue down such a failed path when Maine’s children deserve better. No child, in Maine or around America, should ever go to school terrified that they may not go home that night. We must act now to do the common sense things that we can do to make our schools safer, there are numerous ideas in that area that do not infringe on a single person’s rights. A problem-solver, a leader, should approach the issues we face logically. Creating safer schools for our students is no exception. A problem-solver, a leader, puts all the ideas on the table and thoroughly discusses them, dissecting each piece to see how it fits in the solution puzzle. A problem-solver, a leader, does NOT arbitrarily discount the ideas of others simply because they do not fit into the leader’s personal rigid ideology. Dismissing ideas in a dogmatic manner is how Speaker of the Maine House Sarah Gideon approached the school safety issue, and it is just plain wrong. She applied her rigid progressivism first, discounting any idea that did not match her personal thinking. She then played politics, headlining a rally in the State Capitol to push her rigid ideology, rather than thoughtfully consider a wide array of ideas that were on the table. 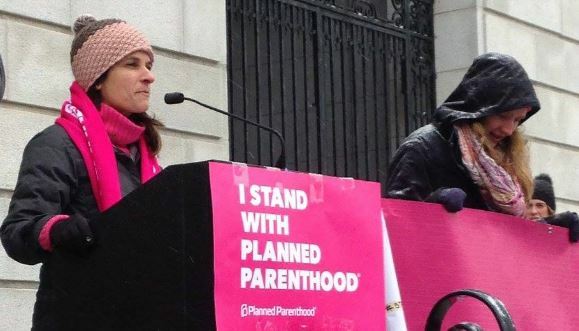 As a Maine citizen, Sarah Gideon has every right to advance whatever agenda she chooses. As Speaker of the Maine House, Sarah Gideon let the people of Maine down when she chose partisan politics over principled leadership. It is not only disappointing, it represents a pattern for the Speaker. As Speaker, she is the leader of the People’s House in Maine. Instead, she panders to a small, but vocal group of people who are clearly outside of the mainstream. Gathering a small group of anti-gun activists at the State House to advance her extreme views on gun ownership is exactly the wrong kind of leadership for Maine and doesn’t fix a single thing. We deserve better. Representative Rich Cebra of Naples, a former Chairman of the Maine Republican Party and the Cumberland County Republican Committee is a Life Member of NRA and is serving his fifth term in the Maine House of Representatives.